(+/-) 25 Acre level lot on the southwest corner of Golden Lake Road and Cedar Lane is ideal for building a new home, horses, or just for recreation. 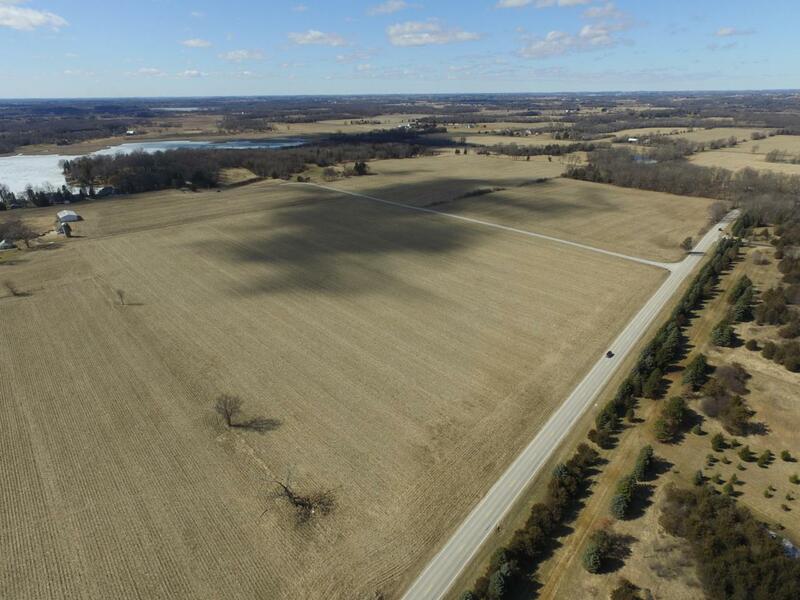 It can be purchased with the parcel north of Cedar Lane for a total of approximately 40 acres. The adjacent farm is also available with the house, outbuildings, and frontage on Golden Lake. Sale of this parcel would be subject to a land split approval by all applicable governmental bodies and a perc test. Land is currently leased and farmed, lessee has the right to harvest any planted crops at the seasons end.